an architecture: parkPlatz - Urban Garden. It's paradox: the increasing density of Vienna's city center simultaneously leads to the desolation of its street space. 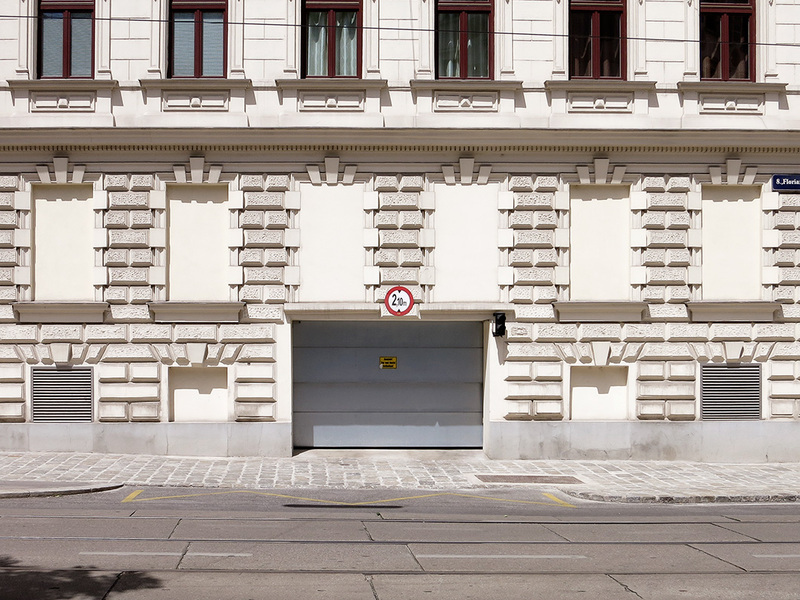 Roof extensions demand more parking ground, consequently, garage doors replace shops and other ground level program and change the street scale environment: Streets just for vehicular traffic. The projects aims to correct the damage done by house owners. 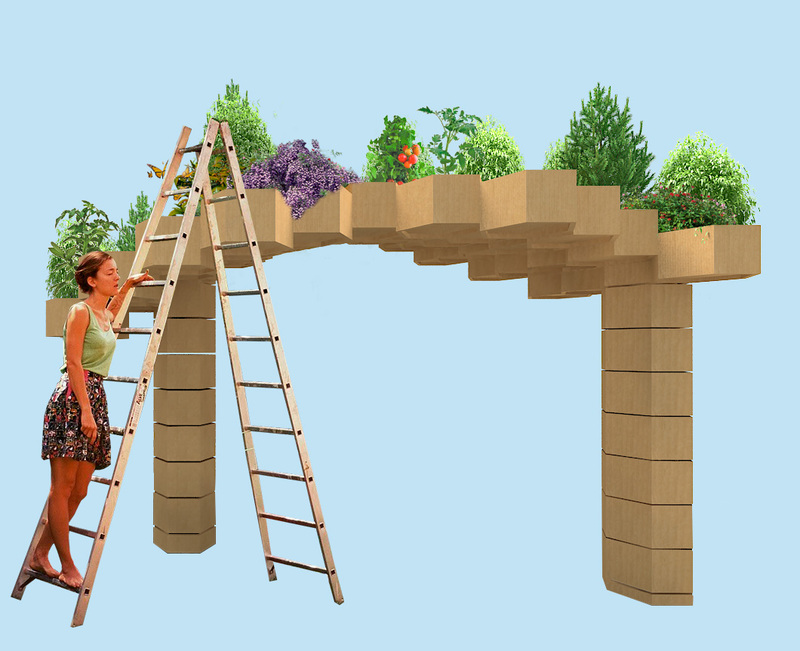 A simple construction-kit enables the community to bridge the parking gateways and create a realm of green in contrast to the asphalt desert: green pergolas which enhance the microclimate of small streets - more green and not just cars. 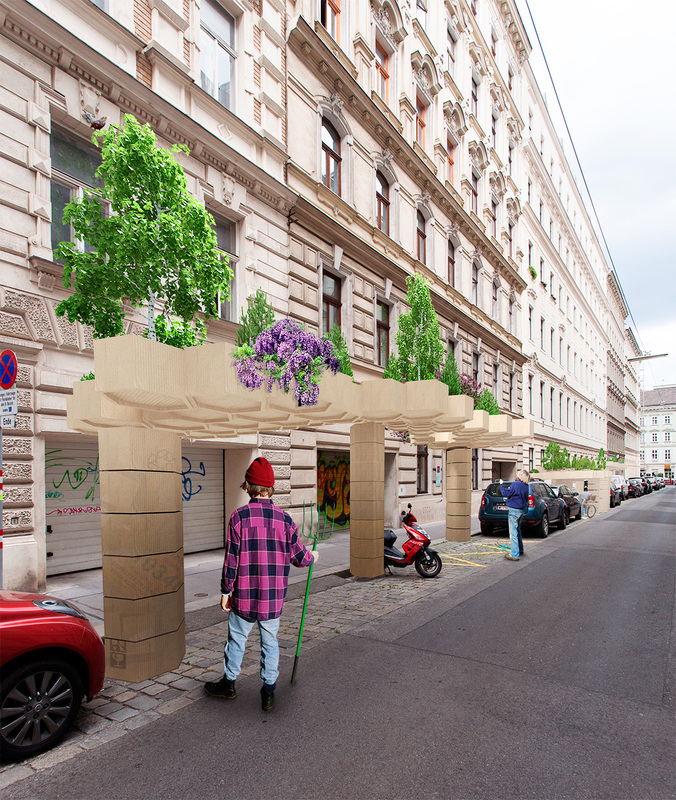 The project was an entry for the City Hype competition of Departure - Vienna’s agency for the creative industries. Please vote for the project on parkPlatz.